A story from Azerbaijan before the fall of the Soviet Union, when everything seemed possible and old ties were suddenly being rediscovered across borders that had been closed for 70 years. 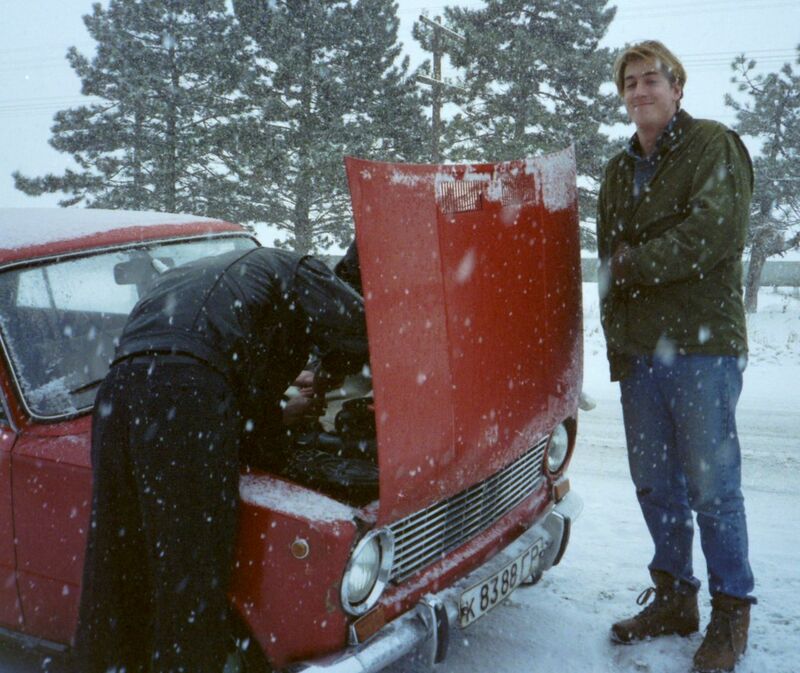 I even met then disgraced Haidar Aliyev in exile in his hometown of Nakhichevan, where he served me breakfast in a light tracksuit and predicted correctly that the then regime in Baku was only hanging on thanks to support from Moscow. Hugh Pope, in Baku, finds a people in search of independence rediscovering their roots. The grizzled Azerbaijani in the airport car park leaned forward to display his Grey Wolf lapel pin and whispered in Azeri Turkish: “Are you one of the pan-Turkists from Turkey?” It was an odd welcome to Azerbaijan, the first sign of a web of conspiracies, trade and bloodbrother love that is starting to bind the Soviet republic to Turkey as it moves to greater independence. For years, such emotional bonds have been suppressed on both sides of the short Transcaucasia border Azerbaijanis share with Turkey. 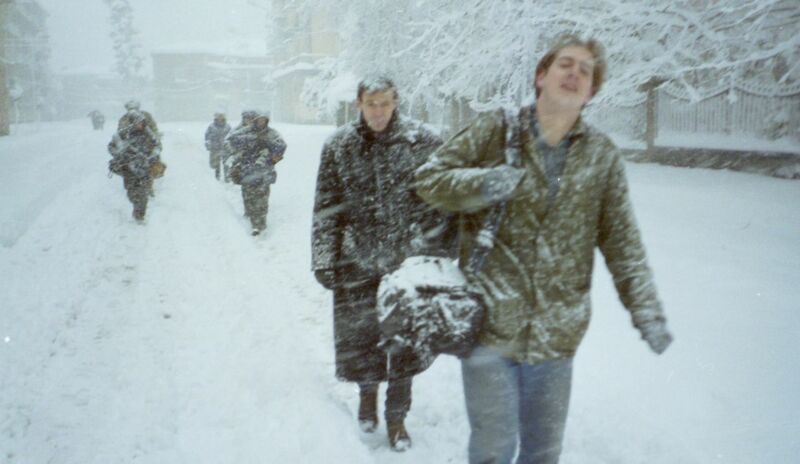 Throughout the Cold War, Nato-member Turkey feared to provoke Moscow and later wished to protect valued trade links. For its part, the Soviet Union feared for the loyalty of the 15 per cent of its population who speak Turkic dialects, stretching into a crescent across its southern boarders in central Asia. The Turk in Istanbul may be lukewarm to such ideas, discredited because it was espoused by right-wing extremists during violence in the 1970s. But among the seven million people of soviet Azerbaijan, decades of frustration have bottled up feelings of Turkishness that are far more striking, for instance, than any post-glasnost revival of Islam. Azerbaijan’s 70 mosques are being renovated but three generations of Marxist education have Europeanised the mainly Shia population. The Marlboro-smoking religious leader of Azerbaijan, Allahsukur Pasazade, effectively lost his deposit in the recent elections. The only taxi-driver I found who displayed a picture of the late Ayatollah Khomeini made it clear he did not want and Islamic state. On the boulevards of Baku, the Soviet Azerbaijani capital, cassette tape sellers stock almost as much Turkish music as Azerbaijani. Hotel receptionists follow the fate of Turkish football teams and a teashop owner proudly displays a picture in his wallet of Mustafa Kemal Ataturk, founder of the Turkish republic. “We like Turkish songs. We know their poetry. We have the same blood. We are Turks inside,” said Kamer Novrozaliyeva, 21, an Azerbaijani teacher. Refik Onur, an Istanbul chemicals manufacturer who attended the recent Azerbaijan Business Congress, where the biggest delegation came from Turkey, said he often had to eat in two houses each night in order not to give offence. “I never imagined such love,” he said. Although plum contracts for the oil and cotton industries are likely to go to Western multinationals, the communist leadership of Azerbaijan has started its foreign visits with ground-breaking tours of Turkey, reciprocated by a visit from President Turgut Ozal’s wife, Semra. The Azerbaijan Prime Minister, Hasan Hasanov, glows with pleasure at the thought of engineering the same economic boom that Mr Ozal gave Turkey in the 1980s. In neighbouring northwest Iran, there are between 15 and 20 million Azeri Turks living in what some nationalists call “South Azerbaijan”. But both Soviet and Iranian Azerbaijanis say that a basic popular wish for reunion is complicated by differences arising from more than 150 years of separate development. For the times being, Soviet Azerbaijanis say that Turkey remains a more attractive partner mainly because it offers economic hope and a Moscow-free rout to the West, through Azerbaijan’s westernmost outpost of Nakhichevan. Independence is the ultimate desire of nearly all Azerbaijanis and local political forces in the republic, including a bewildering variety of 15 small new parties, the main opposition movement, the National Front, and even, to a certain extent, the well-entrenched ruling Communist Party. Some Azerbaijanis see Baku’s role as a future lodestar and route to the West for the other Turkic republics of Turkmenistan, Kirgizia, Kazakhstan and Uzbekistan further east. Meanwhile lessons have been learned from “Black January” when mass rallies for independence led by the National Front in Baku were crushed by the Soviet Army; 122 people were killed. After the Soviet intervention, the Communist Party successfully repressed and split the National Front. Baku remains under a 1am to 5 am, its fine turn-of-the-century centre scarred by a burnt-out Armenian cathedral. Two years of ethnic strife in the Transcaucasus have left some 250,000 Azerbaijani refugees from Armenia living in slum suburbs around Baku or in Armenian homes deserted by their owners. Only a few thousand Armenians remain from what was once a community of 300,000 people. In this strained atmosphere, two rounds of voting on 20 September and 14 October gave the Communist Party 90 per cent of seats for the 360-seat Azerbaijan parliament. Nobody believes the result is representative, since opposition parties were not allowed to hold meetings, Communist Party pressured on voters on polling-day were great and turnout was low. “They put 22 other communist candidates up against me in my constituency alone. No wonder I couldn’t reach the 50 per cent barrier,” said Vahit Akhundov, an opposition figure. “If the elections had been free, the party would have lost power… the Baku leadership is there with the support of the Soviet army,” said Haidar Aliev, the former communist strongman of Azerbaijan who was ousted from the Soviet Politurbo in 1987. Mr Aliev was elected as an independent last month with the highest percentage vote of any candidate in Azerbaijan. The Communist Party remains relatively strong and is adopting Azeri national issues as it struggles to recover popularity. Mr Hasanov wants an Azerbaijani army and is struggling to bring economic independence and direct foreign trade to the long-isolated republic which has large surpluses in basic foodstuffs and energy. Azerbaijani officials say that both a strong army and economy are vital to counter what is seen as the main threat to the republic, the Armenians. Azerbaijan is convinced that Moscow and the West give one-sided support to what everyone in Baku describes as Armenian aggression. Azerbaijanis point to Armenian claims on the enclave of Nagorny Karabakh and what they say are a pattern of attacks against the 300,000-strong Azerbaijani enclave of the Nakhichevan, bordering Turkey and Iran. Armenians launched attacks on Nakhichevan in January. Azerbaijani nationalists tore down the border fences with Iran and Turkey and forced the enclave’s parliament to declare a unilateral independence which, although it collapsed after eight days, was technically the first in the Soviet Union. Some Azerbaijanis are bitter that the Turkish troops could do little more than mass on the border. 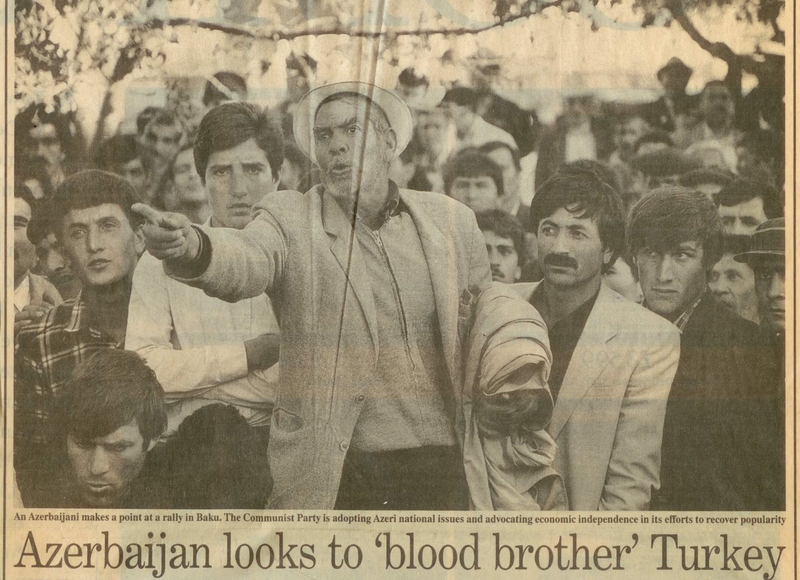 But Azerbaijanis involved in the clashes said a dozen or so Turkish “Grey Wolf” irregulars managed to slip across to fight alongside what Turks on both sides of the border agree are their “brothers in soul and blood”. This is one of a group of articles I wrote during a wild trip to Azerbaijan’s First International Business Conference in October 1990. 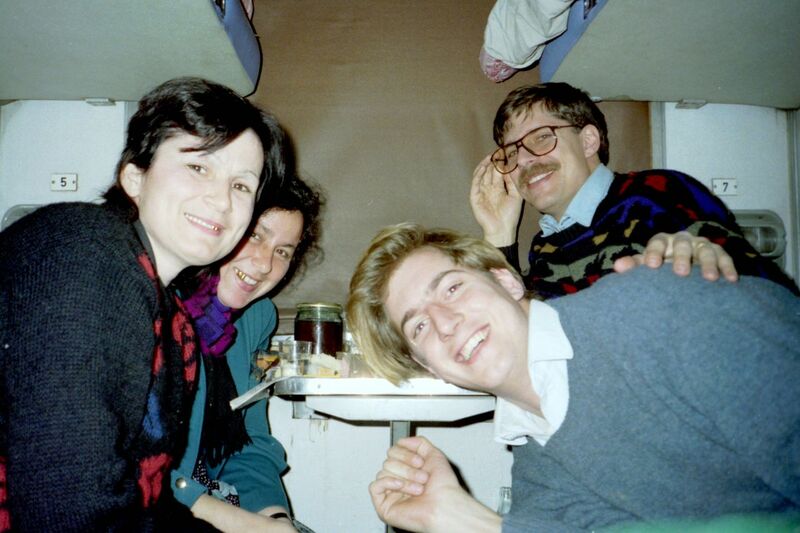 There were a lot of “firsts” back then as the Soviet Union fragmented – starting with the first direct passenger flight I know of between Istanbul and Baku. 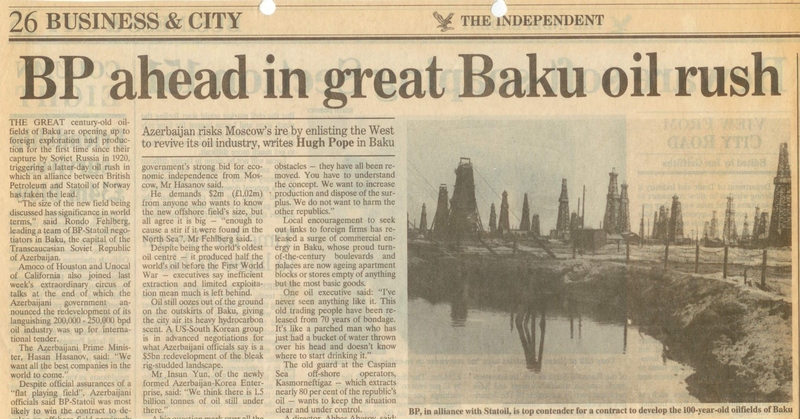 This story is perhaps the first published news that BP was to play a leading role in the new development of post-Soviet Azerbaijan’s oil wealth. My full impressions of Baku’s early independence can be found in chapters 3, 7 and 20 of my book on the rise of the Turkic world, Sons of the Conquerors. THE GREAT century-old oilfields of Baku are opening up to foreign exploration and production for the first time since their capture by Soviet Russia in 1920, triggering a latter-day oil rush in which an alliance between British Petroleum and Statoil of Norway has taken the lead. “The size of the new field being discussed has significance in world terms,” said Rondo Fehlberg, leading a team of BP-Statoil negotiators in Baku, the capital of the Transcaucasian Soviet Republic of Azerbaijan. Amoco of Houston and Unocal of California also joined last week’s extraordinary circus of talks at the end of which the Azerbaijani government announced the redevelopment of its languishing 200,000 – 250,000 bpd oil industry was up for international tender. Despite official assurances of a “flat playing field”, Azerbaijani officials say BP-Statoil was most likely to win the contract to develop an offshore field previously named after “the 26 Baku Commissars”, a group of pro-Bolshevik revolutionaries that official Soviet historians used to allege were shot during a six-week British occupation of Baku in 1918. The new field, in 120 – 300 metres of water and outside the reach of Soviet drilling technology, was last weekend renamed the “Azer” field in line with the Azerbaijani government’s strong bit for economic independence from Moscow, Mr Hasanov said. He demands $2m (£1.02m) from anyone who wants to know the new offshore field’s size, but all agree it is big – “enough to cause a stir if it were found in the North Sea”, Mr Fehlberg said. Despite being the world’s oldest oil centre – it produced half the world’s oil before the First World War – executives say inefficient extraction and limited exploitation mean much is still left behind. Oil still oozes out from the ground on the outskirts of the Baku, giving the city air its heavy hydrocarbon scent. A US-South Korean group is in advanced negotiations for what Azerbaijani officials say is a $5bn redevelopment of the bleak rig-studded landscape. A big question mark over all the excitement was what Moscow might thing of this foreign oil rush into what, despite the fact that Baku now only produces about 2 per cent of the Soviet Union’s oil, is one of its jealously guarded strategic assets. Local encouragement to seek out links to foreign firms has released a surge of commercial energy in Baku, whose proud turn-of-the-century boulevards and palaces are now ageing apartment blocks or stores empty of anything but the most basic goods. The old guard at the Caspian Sea off-shore operators, Kasmorneftigaz – which extracts nearly 80 per cent of the republic’s oil – wants to keep the situation clear and under control. The join venture contract would include full rights for exploration and production at the former “26 Baku Commissars” field as well as adjoining prospecting rights – a huge undertaking for any company, he acknowledged. He estimated it would take six months to put together a joint venture and that studies of the field could be completed next year, but the announcement of an international tender meant delays. Compensation would be through a share in production, but no talks had been held on how it would be shipped out of the Caspian Sea area. The Prime Minister has said he is considering both a gas pipeline to Turkey and an upgrading of the 1,700km Baku-Batum crude oil pipeline to the Black Sea. A complex multilateral $21m deal, signed and approved by Moscow, will allow Britain’s KBC Process Technology to upgrade one of Baku’s two major refineries, according to Brian Swan, KBC’s marketing director.